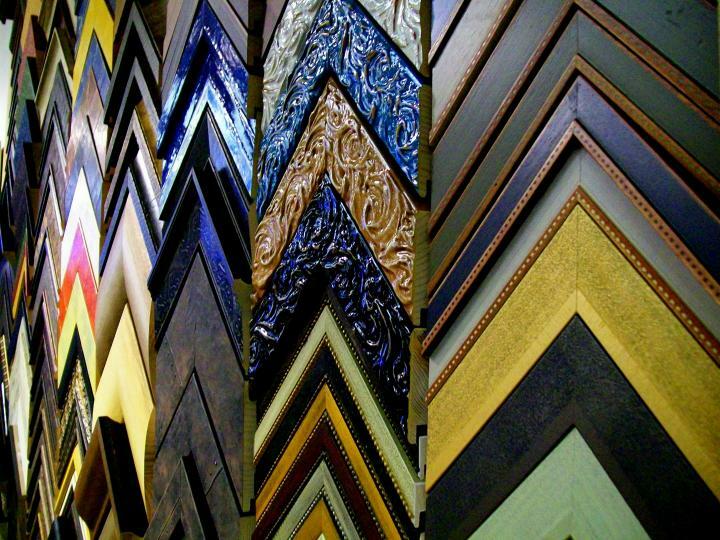 Four Corners has the largest selection of frame moulding in West Michigan. We work with over 25 different suppliers to insure you a perfect and unique combination for your project. 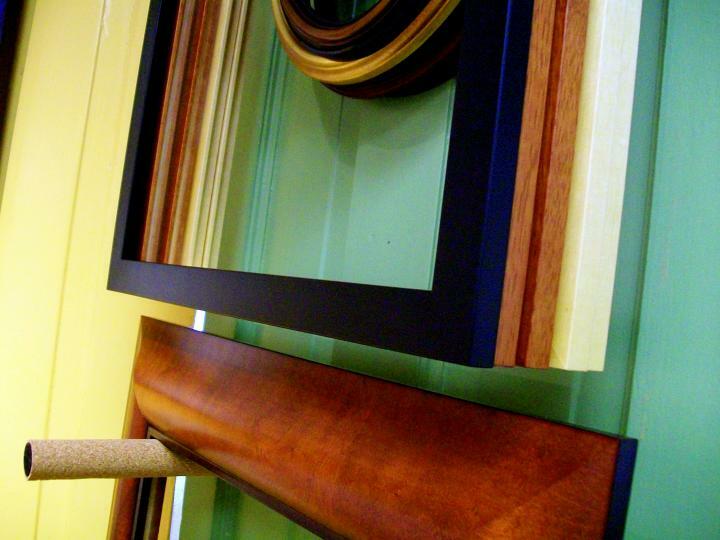 We carry only the finest wood and metal frames in a variety of stains and finishes. 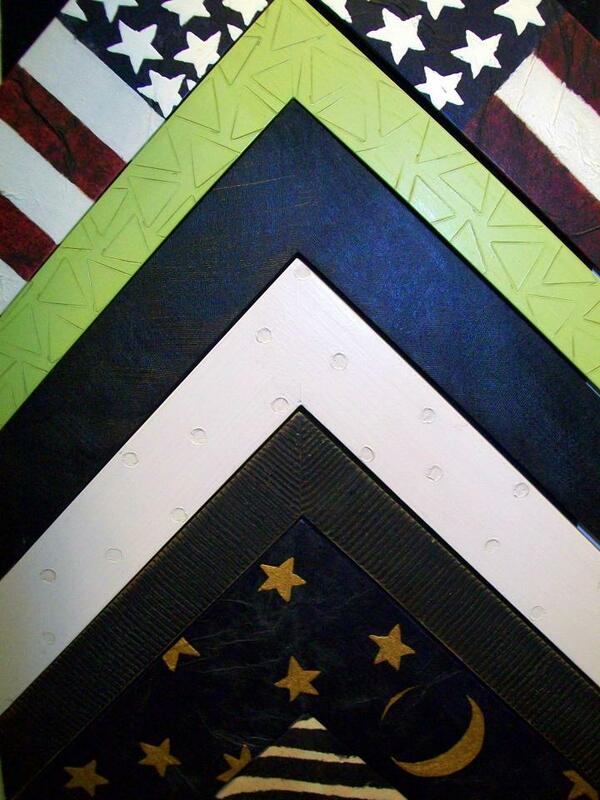 Four Corners has a large selection of matboard including Artique, Crescent and Bainbridge. 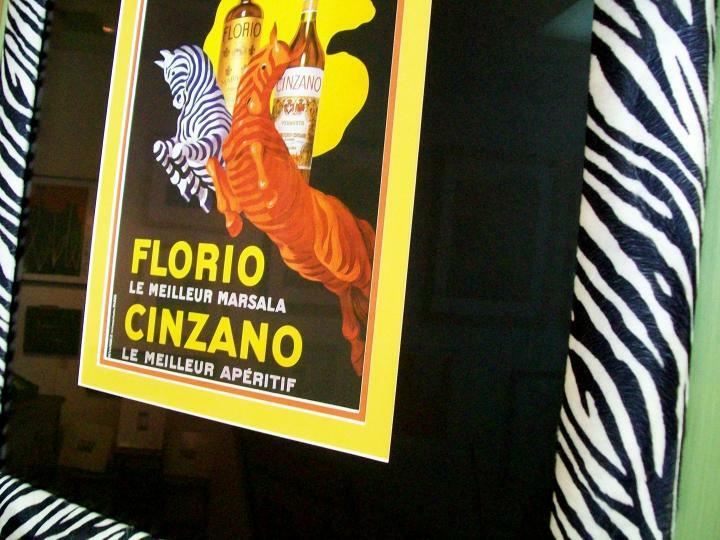 Matboard is the first barrier between your cherished artwork and the protective layer of glass. It comes in a huge array of colors, textures and styles. 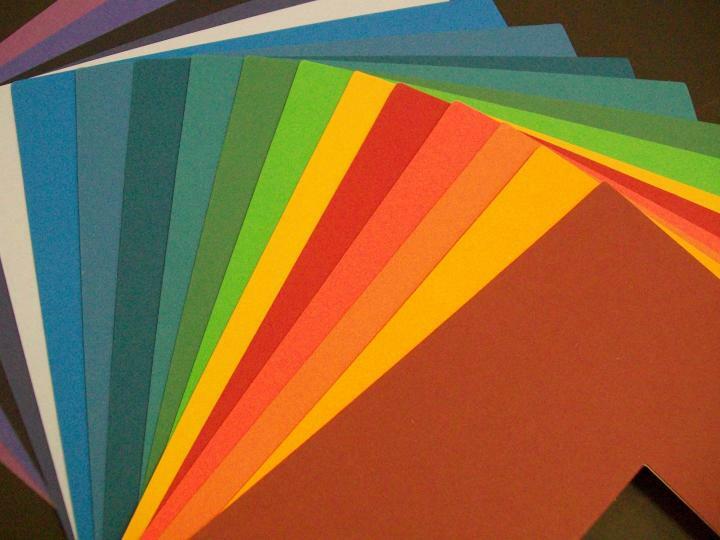 Matboard is made of cotton fibers, which are naturally acid-free and lignin-free. Cotton is time-tested and naturally free of any chemicals or pollutants that would degrade matboard or artwork. Cotton is also an annually renewable resource, making it more environmentally friendly. 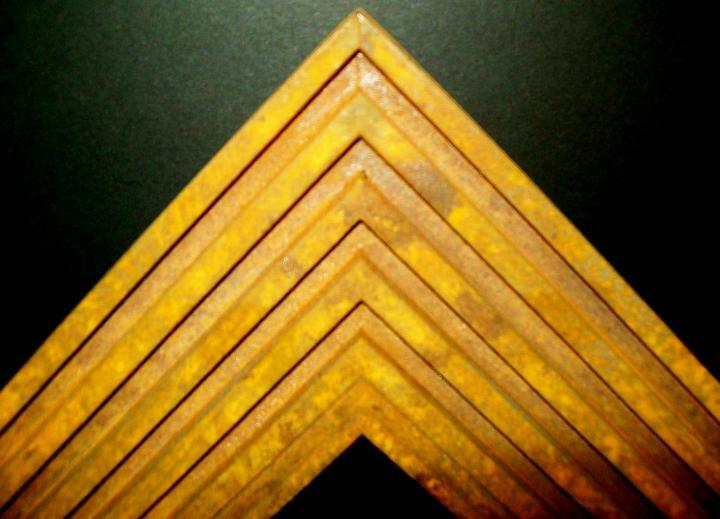 Cotton rag matboard is the natural choice when the highest levels of matting are required for the display, protection and preservation of artwork. Four Corners carries both foamcore and gatorboard. 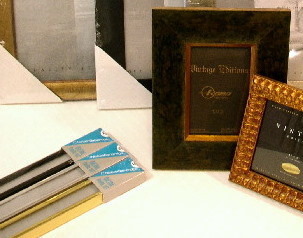 These are the materials used for mounting a poster, print, or photo. Placed with an adhesive tissue into our vacuum heat press, this ensures that your artwork will never ripple or bow. 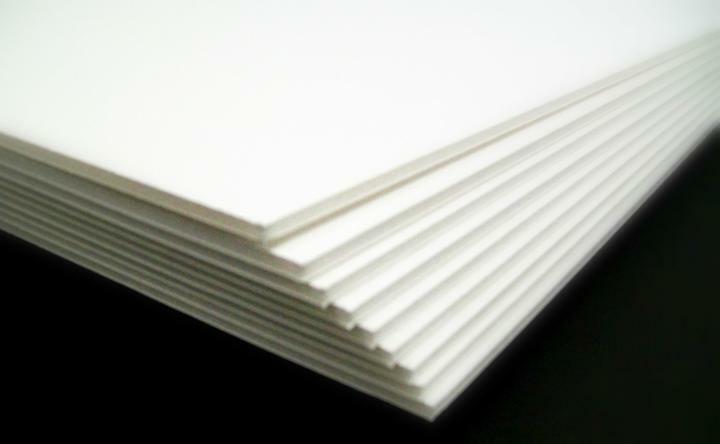 Foamboard comes in both archival and regular quality. 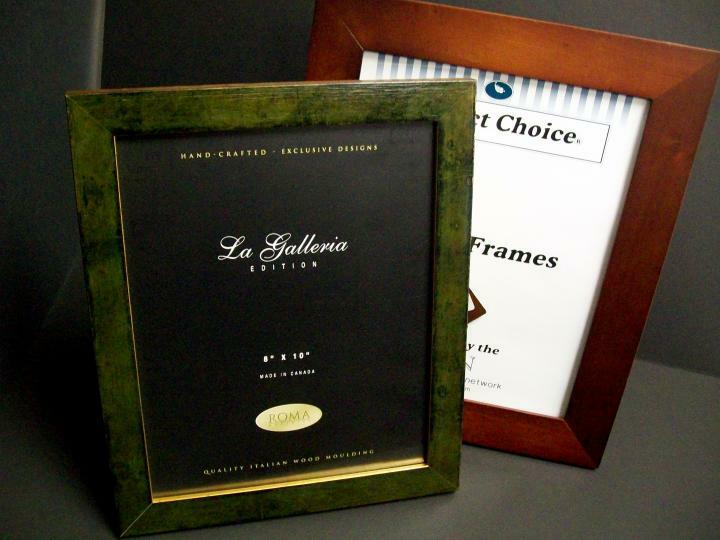 Gatorboard is not archival, but is much more firm than foamboard and is ideal for mounting art that will be displayed without a frame or in an uncontrolled environment. 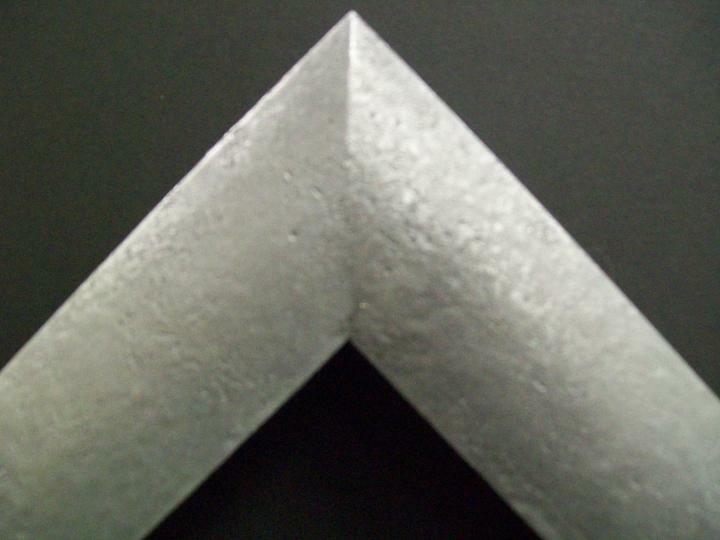 Clear glass is most commonly used, but today there are many options from which to choose. Conservation glass has UV blocking, protective qualities and anti-reflective glass will take care of glare without blurring like traditional non-glare glass. 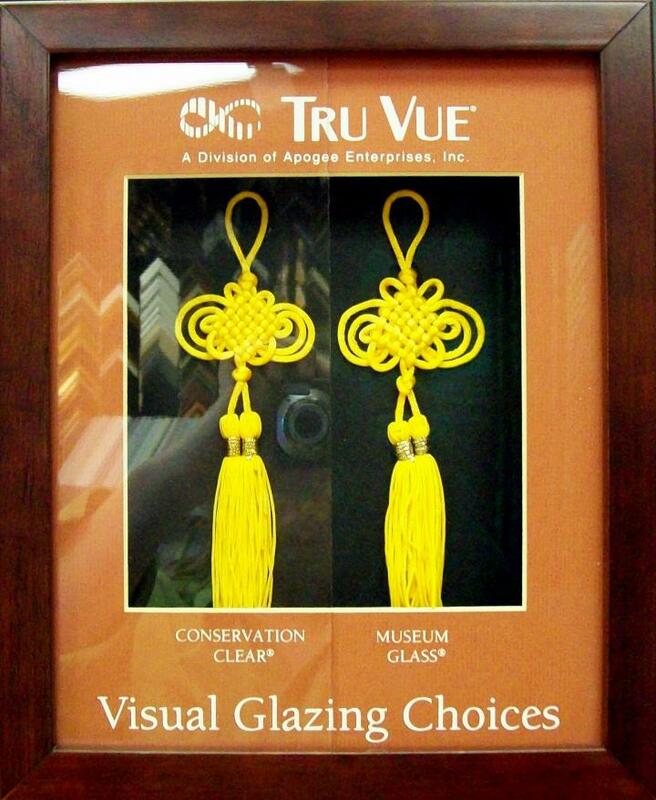 For the most precious artwork or family heirlooms, Museum Glass by TruVue is the highest quality anti-reflective picture framing glass in the industry. It reduces glare by 85% and blocks 98% of damaging UV light. You can see it in action in the picture to the left. The reflection completely disappears on the right side of the split glass display.